Hi, I’m Rosalee de la Forêt. I am a registered herbalist RH (AHG), the Education Director for LearningHerbs, and author of the bestselling book, Alchemy of Herbs: Transform Everyday Ingredients into Foods and Remedies that Heal. I'm here to help you use herbs confidently. On my site you’ll find in-depth and easy to understand information about herbs, delicious and inspiring recipes, and lots of beautiful photos of plants! The knowledge I share is a combination of my personal experiences, traditional uses of plants, how modern day herbalists are practicing herbalism, as well as what scientific studies are illuminating about herbs. All of my articles are thoroughly cited and referenced. Infused into everything I do is my deeply rooted belief that we are all happier when we are connected to the natural world around us. The more you rely on herbs for your everyday health, the better this world will be. You want to use herbs as food and medicine in your daily life. You spend hours trying to find REAL information about medicinal herbs and natural health but you’re ready to pull your hair out because of all the bad information you have to wade through. You’re confused because you find one site that says to ALWAYS do this and then another that says the exact opposite. You know that many healing herbs exist outside your door and are suspect of the mass marketing of so-called exotic herbs or nutraceutical extracts. You’re fed up with the “get healthy quick” approach that never actually works and want to know how to use herbs so they REALLY work. If you are tired of getting so-so results with herbs and are ready to use medicinal plants with confidence then I invite you to join my herbal community. 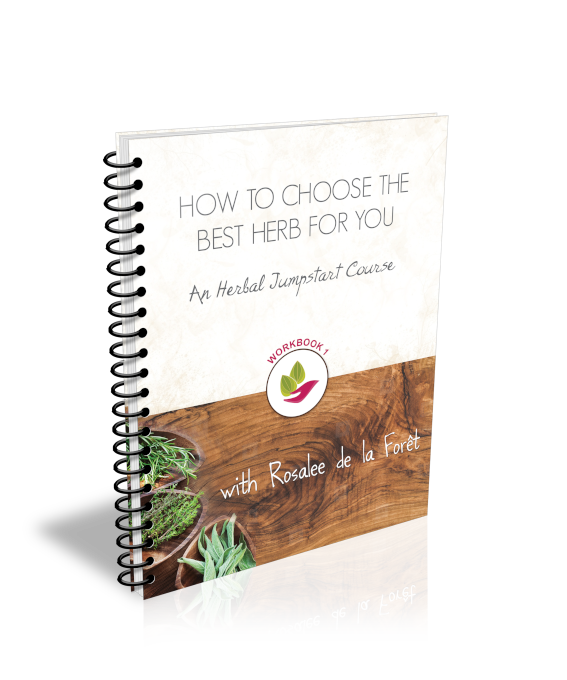 In this course you’ll learn why the first step in being successful with herbs is to know WHO you are. The herb quiz included in the course will help you do just that! In addition to my free course, I also send a handful of emails a month to share herbal tips, recipes and more. My goal is that you’ll know exactly what you need to know to get the best results with herbs. For over 15 years my calling has been helping people to radically change their health using herbs and other natural remedies. Through this I have helped hundreds of clients reclaim their health and have taught thousands of herbal students in online courses and intensive retreats. In 2017 I published my first book, Alchemy of Herbs. It was an immediate bestseller and is the highest five star rated herbal book on Amazon. Alchemy of Herbs has been published in many languages, including Spanish, German, Korean, Polish, Slovak, and Czech. But my story begins long before I had become a successful herbalist. I admit, I’ve been a natural health nerd my entire life. As a teenager I would prowl the natural health foods store and look up remedies in the Natural Prescription for Health book by Phyllis Balch. I remember how excited I was when I checked out the Vitamins for Dummies book from the library. I even created flashcards so I could memorize what certain vitamins did and what foods were high in those vitamins. I admit, there weren’t a lot of other 16 year olds spending their time memorizing the signs of Vitamin A deficiency. But while I had long been interested in natural remedies I didn’t really take them seriously until they saved my life. When I was 23 I suddenly became very sick. I spent an entire month in bed, tormented with musculoskeletal pain, an itchy body rash that came and went and a fever that spiked at night and went away during the day. I was finally hospitalized after becoming severely dehydrated and after two weeks was diagnosed with a rare autoimmune disease called Still’s. The doctors didn’t have good news. They gave me steroids and said it would be a slow and painful decline to an early death. As you might imagine, that was a really difficult time in my life. For about three days I cried, a lot, with the words “why me?” going over and over in my head. But then, I did what I had always done and started researching alternative solutions to autoimmunity diseases to see what I could find. Over time I began to see that there were lots of small signs leading up to my autoimmunity disease and my “healthy” soy vegetarian diet wasn’t serving me. I realized I needed a total health makeover to purge a lot of health fads from my life. I also assembled a team of people to help me, from acupuncturists to herbalists to naturopaths to massage therapists. After six months of intensive work I became symptom free from this “terminal” and “incurable” disease and I have continued to live symptom free for over 15 years. My experience with autoimmunity further inspired me to delve into the natural health world. I I knew I wanted to help people like me: people who wanted to find the root cause of their health problems so they could live a healthy and vibrant life. I have over 10 years of training as an herbalist, from ethnobotany and wildcrafting to clinical herbalism. I’ve graduated from the four-year clinical program at the East West School of Herbology, spent three years apprenticing at EarthWalk Northwest, did extensive Clinical Training with the International Integrative Educational Institute and have been mentored by some of the most outstanding herbalists of our time, including Michael Tierra, Karta Purkh Singh Khalsa and jim mcdonald. Besides my interest in herbalism, I also spent four years of intensive training as a Structural Medicine Specialist with the Institute of Structural Medicine. Through that process I became a licensed massage therapist and practiced for five years before turning my full attention to herbs. I have a bachelor degree in Foreign Languages (French and Spanish) from Lewis and Clark College, where I also focused on anthropology and sociology. In recent years I’ve trained with Victoria LaBalme, a brilliant Performing Artist & Performance Coach. For many years I was a clinical herbalist and worked one-on-one with hundreds of clients to help them use herbs to address their health challenges. I’m very dedicated to herbal education and teach both nationally and internationally. As the Education Director for LearningHerbs.com, I’ve written hundreds of herbal articles, recipes, videos and herbal presentations for their membership site HerbMentor.com. I’ve also created three online courses produced by LearningHerbs, including the Taste of Herbs, Herbal Cold Care, and Apothecary. 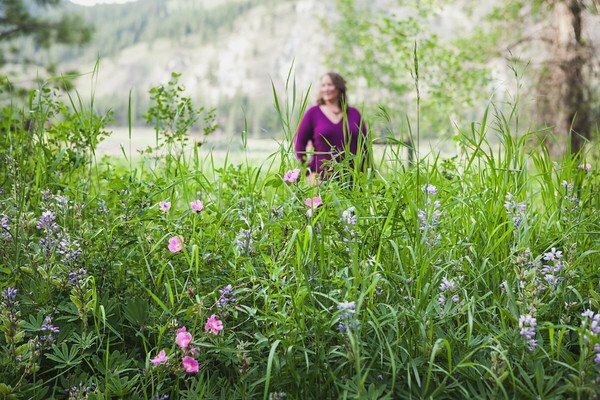 I especially love creating gorgeous visual presentations and have taught at numerous conferences, including the Free Herbalism Project by Mountain Rose Herbs, the International Herb Symposium, the American Herbalist Guild Symposium, the Northwest Herbal Symposium, the Montana Herb Gathering, the Alberta Herb Gathering, the Northwest Herbal Faire and many more. Rosalee does an amazing job at presenting her topics. I've taken many classes over the years, some presented well, some not so much, but Rosalee has never disappointed. She breaks down even the most complicated information in bite size bits to be digested easily, in a brilliantly organized way that learning is a joy, never a chore. And the amount of information from basics to in-depth, to recipes and helpful learning tools is quite breathtaking! I live in the Methow Valley in the north central Cascades of Washington State. My handsome French husband and I caretake 20 acres of forested land and live in a log cabin with our very loved and spoiled cat, Monsieur Quincampoix (I know that’s a mouthful, we call him “le tout petit petit chat” for short). We have a large garden where we grow lots of our summer vegetables, many many flowers and lots of fruit trees. I also grow over 100 medicinal plants. We are so fortunate to live in such a beautiful place! You can often find us hiking local trails, foraging plants, or swimming and kayaking in my favorite lake. I am currently working on my second book, which I am co-authoring with my friend and fellow herbalist and naturalist, Emily Han. The book is about connecting to the natural world around you by gathering and growing plants as medicine. It highlights over 30 plants, has over 120 recipes and will be published by Hay House in spring of 2020. 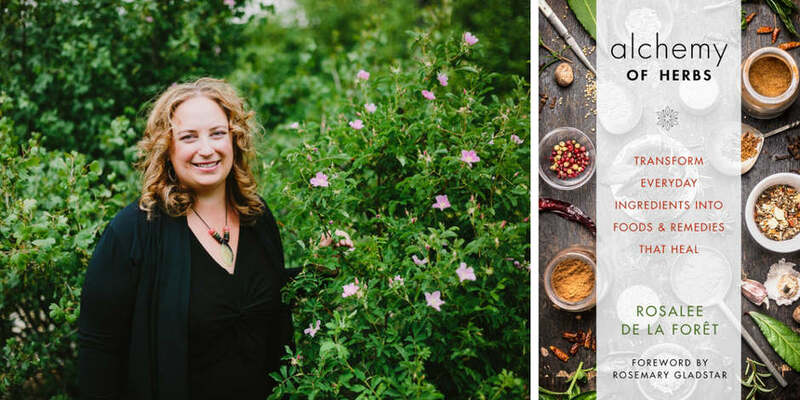 If you love learning about herbs, building your herbal apothecary and being connected to nature, then I know you’ll find my site to be a valuable resource. The best way to stay in touch is to sign up on my mailing list at the bottom of this page. When you sign up you’ll be able to instantly download your free course on Herbal Energetics. You can also follow me on Instagram, Facebook and Twitter.